The executive shuffle Apple announced late Monday is the kind of drama that we in the tech press usually only get from watching Game of Thrones. But as interesting as it is from an inside-baseball perspective, it’s worth remembering that Apple’s focus is, as always, on products. Who said what to whom and why so-and-so was shown the door makes for interesting scuttlebutt on tech websites, but that focus on office politics means very little to people who just want to have the best experience using their Mac, iPhone, or iPad. It’s far more important to consider what Monday’s maneuvers mean for the hardware, software, and services coming out of Cupertino. While Apple’s hardware in recent years has largely received rave reviews, the reaction has been more mixed for the company’s software interfaces. Even as Apple’s industrial design has veered more toward elegant combinations of aluminum and glass, the software user interfaces seem to have lost some of the consistency that was once their hallmark. With Monday’s announcement, the man responsible for much of Apple’s hardware design since 1996, senior vice president Jonathan Ive, is now in charge of human interface—design of both software and hardware—for the company as a whole. Then again, the experience of using hardware doesn’t always translate directly to software interfaces, as we’ve seen from Apple’s often questionable fixation on skeuomorphic design—think the stitched leather on the OS X version of Calendar and, more egregiously, the iOS version of Find My Friends. There are some suggestions that Ive is less infatuated with skeuomorphism than outgoing iOS head Scott Forstall, but it also doesn’t mean that every single Apple design choice the masses have questioned will be wiped away overnight. This is still a company that is not afraid of doing things its own way, whether users agree or not. And keep in mind that, as with Jobs, Ive has his own missteps—while he famously designed the first iMac, he’s also credited (albeit after Jobs) with the design of that computer’s infamous “hockey puck” mouse. Still, if Ive has shown anything over the past ten years, it’s that he values a marriage of form and function rather than simply emphasizing one or the other. He’s also incredibly detail-oriented—the asymmetric fan blades on the redesigned MacBook Pros come to mind. Apple’s strength has always been about the intersection of hardware and software into one perfect widget, something that the company has ably accomplished with its iOS devices and most recent Macs, and it seems likely the company and its users will benefit from a unified approach to human interface. 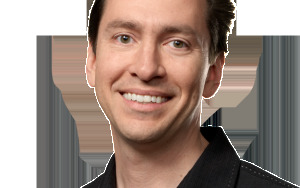 With iOS chief Scott Forstall gone, his responsibilities have been scattered to the four winds. The bulk of them will be picked up by senior vice president Craig Federighi, who previously oversaw Mac OS X. If Federighi is one of the less familiar names in Apple’s pantheon, that’s because he was only recently elevated to the company’s executive team. However, he’s played a crucial role in OS X for many years, and has effectively run the Mac software division since the departure of Bertrand Serlet last year. Apple’s been more insistent in the past couple years that iOS and OS X are essentially two sides of the same coin. Beginning with the Back to the Mac event of 2010, Apple has worked to bring features from iOS to OS X, and that’s only intensified with Mountain Lion, which brought elements like iMessage, Game Center, and notifications to the Mac’s operating system. Expect that trend of sharing to continue moving forward. It also might mean more releases of the two operating systems in concert. 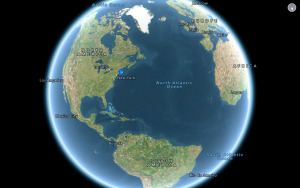 iOS 6 and Mountain Lion appeared in close proximity this year, and among the highlights of the two were features that either appeared on both (Mail VIPs, Facebook sharing) or capabilities that emphasized the connection between Apple’s mobile and desktop platforms (iCloud Tabs). As with unifying its hardware and software experience, developing closer ties between its two major platforms is doubtlessly an important part of Apple’s strategy in the years ahead, and putting both under the aegis of a single executive can help insure that the left hand knows what the right hand is doing.